In this day and age of virtualization it is not that it is getting harder to sit down at a server to administer it… it is just getting easier to administer it remotely. Where it does get easier is when you have several servers – often a mix of physical and virtual – that you need to manage. 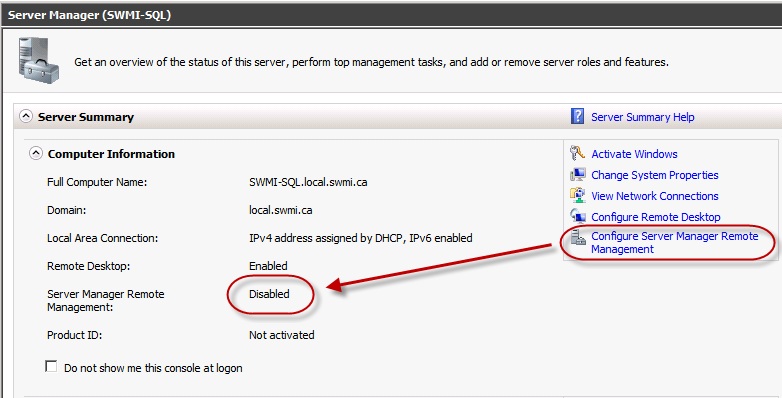 Sure, you can still sit down at the physical servers… you could even open an RDP (Remote Desktop Protocol) session to administer them individually from your desktop. However with each of those you are going to have to manage them all individually. 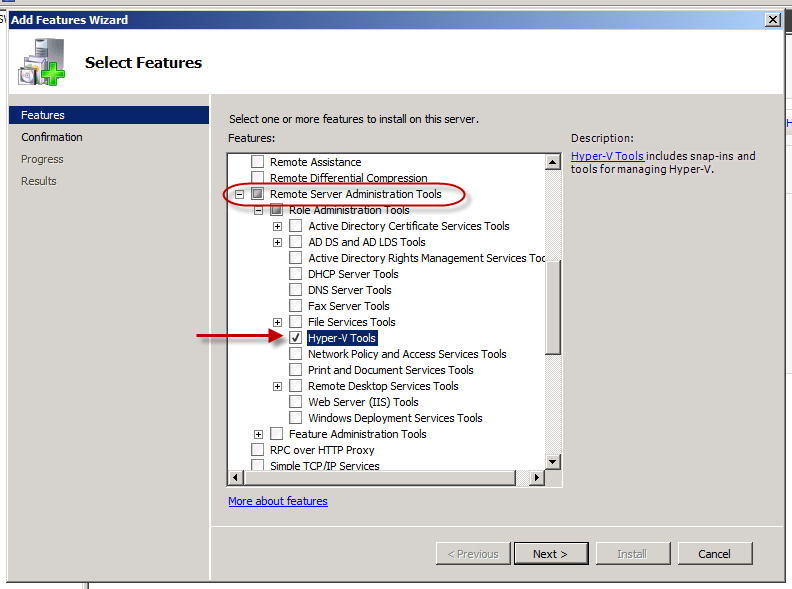 Enter the Remote Server Administration Toolkit (RSAT). Unless you are using System Center to administer your servers, chances are you are either using PowerShell or, more likely at this point, MMC (Microsoft Management Console) consoles. 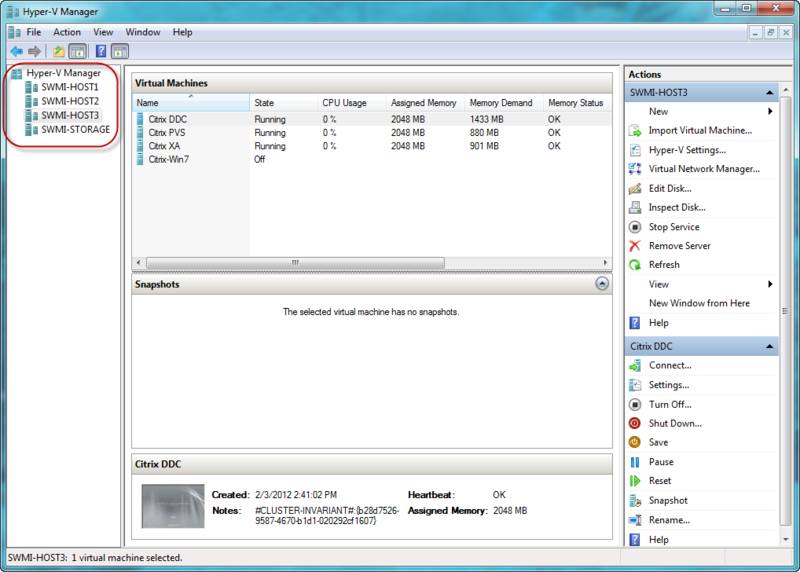 As we learned in Microsoft Windows 2000 Server, MMC consoles can connect to remote servers (or desktops) as long as Windows Remote Management (WinRM) is enabled (Actually WinRM and the Windows Firewall were only introduced in Windows Server 2003 R2 if memory serves, but MMC consoles were remoteable ). I should mention that you will not be able to manage systems on which you do not have credentials, and although the RSAT tools can work in a workgroup, they are much more fluid and trouble-free in a domain environment. Also remember that adding the role or feature under RSAT does not install the actual role or feature, only the consoles required to manage them. This is great for administrators who want to manage their servers remotely from another server… but what about managing them from your desktop? There’s a simple solution for that. 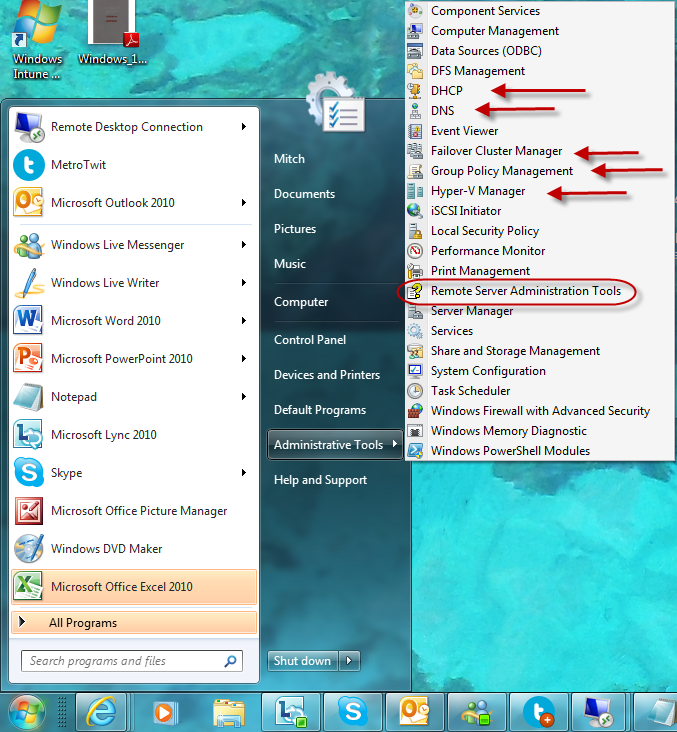 Simply download the Remote Server Administration Tools (RSAT) for Windows 7 (http://www.microsoft.com/download/en/details.aspx?id=7887) from the Microsoft Download Center. Using another version of Windows? There is an RSAT download available for WIndows Vista, but if you are still running Windows XP then I am afraid you are out of luck (…and have 777 days until #EndOfDaysXP!). 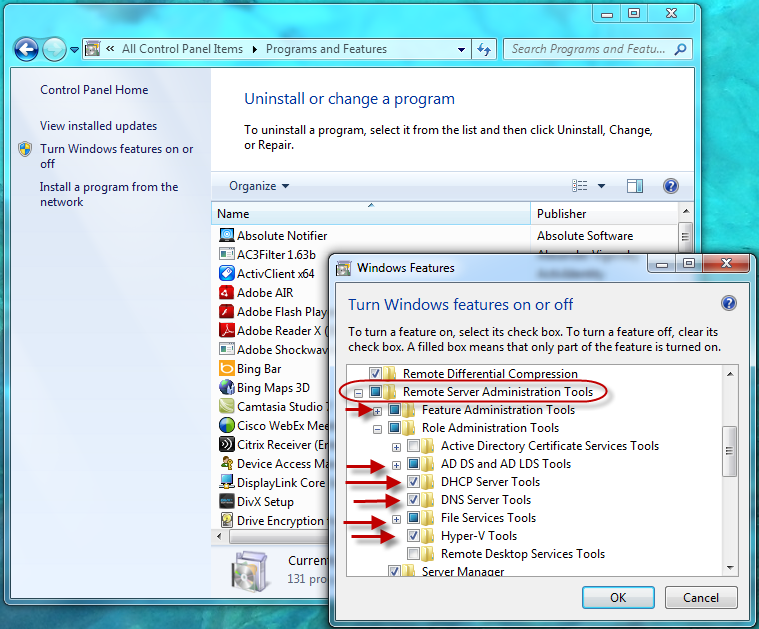 Once you have downloaded and installed RSAT into your Windows 7 machine you will see no difference. However if you go to Turn Windows features on or off, things start to change. 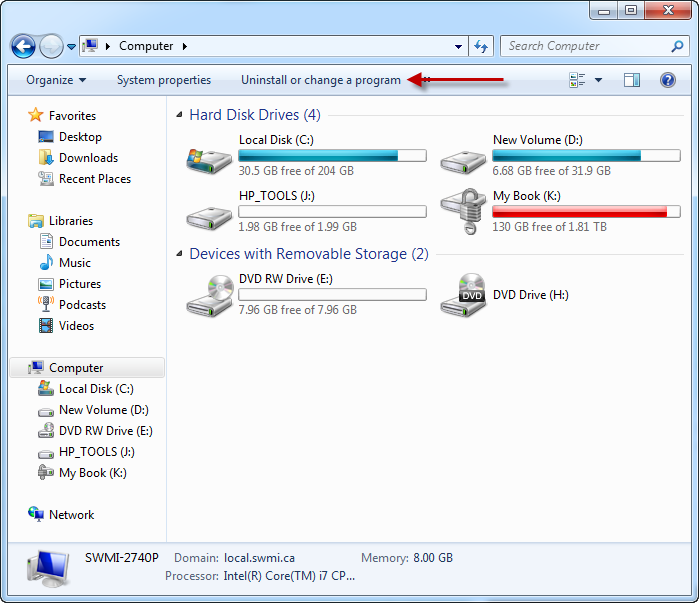 To get there, open Windows Explorer and navigate to Computer. 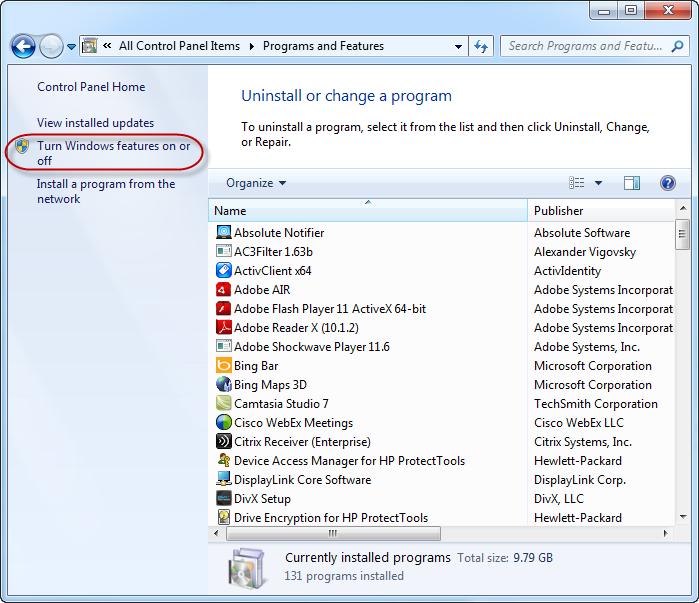 If you do not see the option to Uninstall or change a program chances are you have not clicked on Computer. You should see a list of your installed programs on the right, but to the left there should see an option ‘Turn Windows features on or off (shown). Click there. It will take a couple of minutes, but when it is done you are ready to start administering your servers from Windows 7… just click on the Start pearl, expand Administrative Tools, and the new consoles should be there. 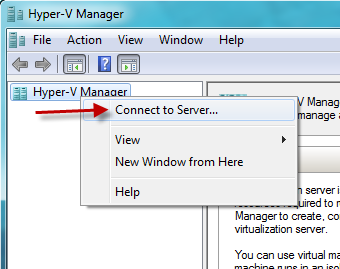 You can add multiple remote servers to the same MMC console (seen below), including full installations of Windows Server, as well as Server Core installations and (in the case of Hyper-V hosts) Windows Hyper-V Server, which have to be managed remotely as they have no graphical user interface (GUI). So go ahead… manage your servers from your desktop without ever having to leave your office/cubical/desk/cafeteria. Wherever you like to work from! ← Ending Snow Days? Sorry kids, but it SHOULD happen soon.